I don't think I can write anything coherent.Yes, I supposed the serie would end like this. 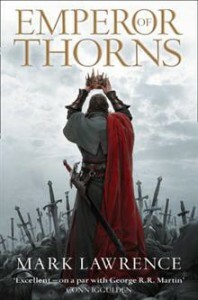 Yes, I knew who's The Dead King - Mark Lawrence left the readers some hints here and there. Yes, I'm sad it's over. I'm sad that my fun with Jorg is over.See? Nothing coherent.